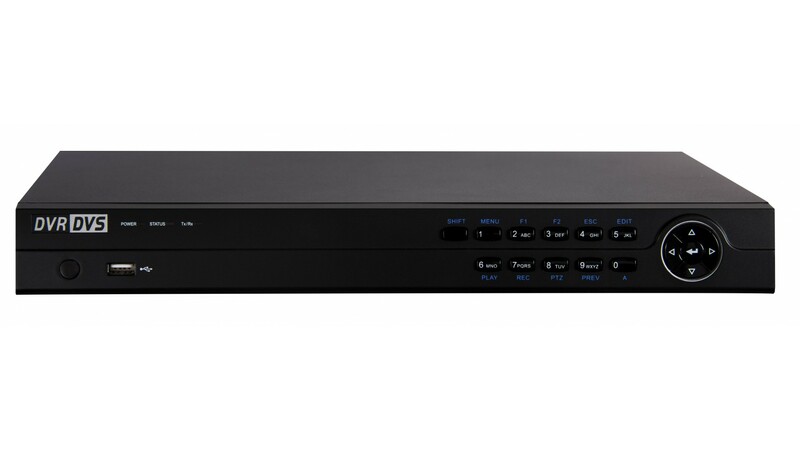 The Arcdyn 160 Channel NVR is capable of recording up to 16 cameras at a resolution of 1080p and HD+, or ultra high definition 4k cameras. 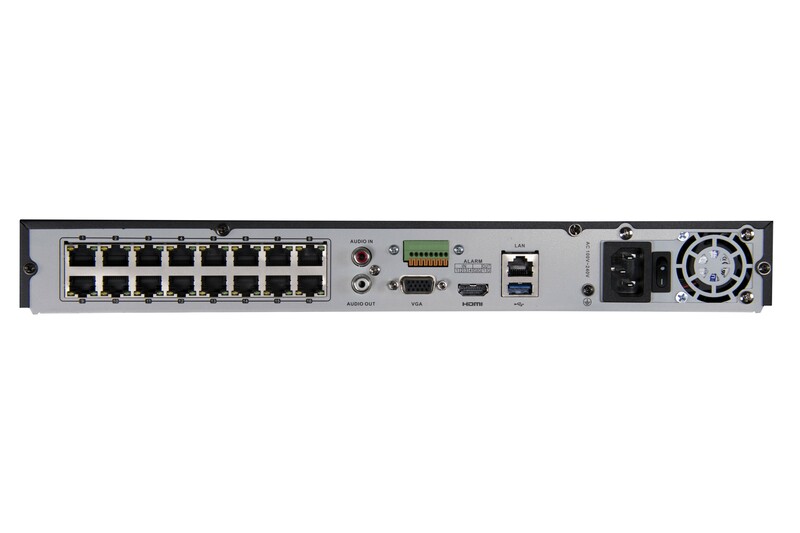 The built in POE switch also supplies power to 16 IP cameras. There are two bays for Surveillance Grade hard drives that would be able to store more than 2 weeks of HD video. 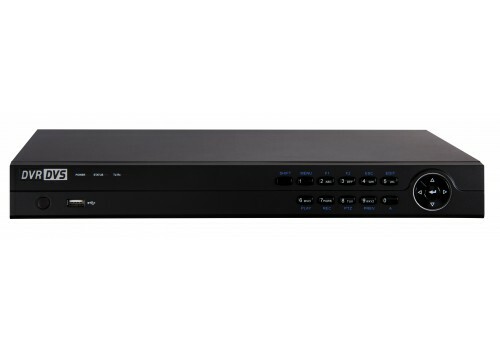 You can view this NVR remotely from your iOS or Android smartphone and tablet or from your computer once you connect the NVR to your location's router. 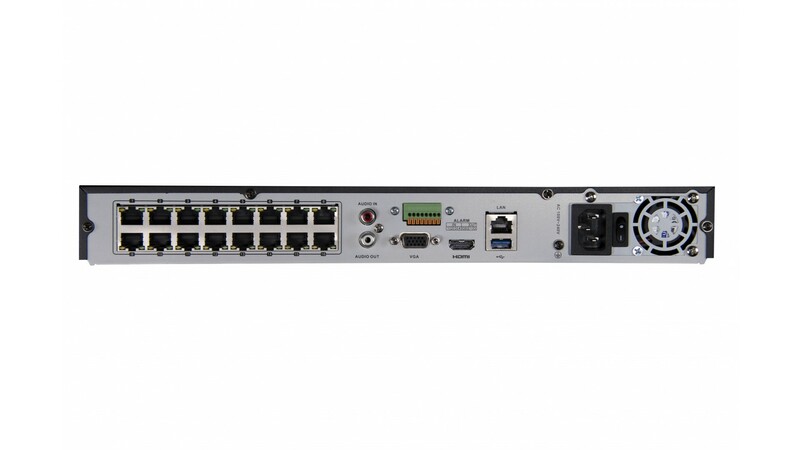 You can also connect a monitor using the built-in HDMI or VGA outputs.